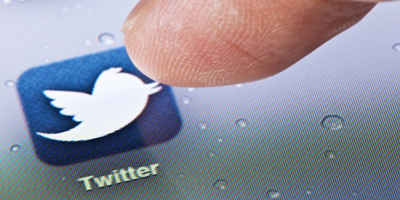 Here is the second part of our two-part series on ‘How to use Twitter as a networking tool‘. 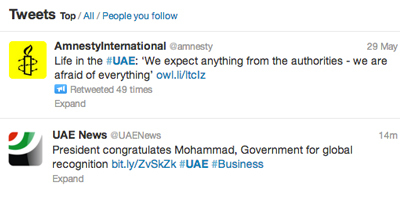 In this article we’re looking specifically at how to use Twitter as a networking tool in the UAE. 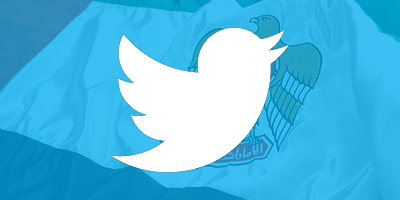 Using Twitter as a professional networking tool is one of the best and most efficient ways of connecting with like-minded people, especially within a specific location such as the UAE. Exploiting Twitter for its networking capabilities will present you with many possibilities. Twitter allows you to select an option to add a location to your Tweets, which will, according to Twitter themselves, “enable delivery of location-specific trends and Tweets, that are personalised for your location”, and this can be especially useful for you and your followers if you are a regular traveller. As discussed in the previous article in this ‘How to use Twitter as a networking tool’ series, the effective use of hashtags will allow you to categorise your conversations/ updates, join in a conversation and target specific conversations, users and Tweets, so categorising your updates by location can also be very beneficial to your networking strategy. There are two obvious ways of categorising your Tweets by topic and location; one would be to use an industry/ topic hashtag, such as #finance and a location hashtag, such as #Dubai, but another way – and one that takes Twitter’s character limit into account – is to use a hashtag such as #DubaiFinance or #FinanceDubai. As a result of using your location in the same hashtag as your conversation topic (as in the second hashtag example) you will be exposing yourself to a much more targeted group of people, which is likely to result in much better exposure to your target market or group of people. Ensuring that you keep up-to-date with the trending topics within your location is another sure fire way of gaining exposure of yourself and your updates. Using the example of the finance industry in Dubai, say there was a trending topic discussing major changes in the policies governing the industry, such as #DubaiFinancePolicy. By staying up-to-date with, and interacting with this hashtag you would be opening yourself up to a ‘hot topic’, potentially increasing your networking reach. Whereas, if you were to ignore this trending topic and stick to #DubaiFinance you might miss out on some key conversations. You can find a list of the trending topics in your location (or worldwide) via your Twitter dashboard, as shown in the image below (to the left hand side of the dashboard). Twitter has great search features which can be accessed via the Twitter dashboard and smartphone App, as well as a number of third-party applications and tools, such as BackTweets and TweetTabs. You can use search features to conduct market research, find updates on specific topics or keywords and even search for users, whether it be by name, email address or by industry. Not only is it good practice to search for topics of interest or users on Twitter, but you might come across a topic or conversation you weren’t aware of before, and you might make some new connections along the way with like-minded professionals. 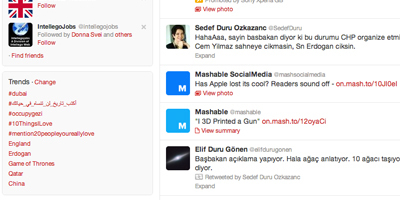 Whatever you want to search for on Twitter, there is an effective way of finding targeted results. 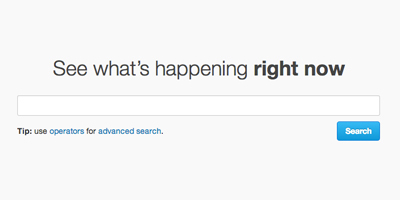 Here is a great article by Mashable on advanced Twitter search techniques. The key with Twitter is to check it regularly, or as regularly as you can. Your news feed will constantly update throughout the day with updates from the people you are following, so you want to ensure that there is a very specific reason why you follow each person, otherwise you will struggle to read anything in your news feed of interest and relevance to your interests. By checking your news feed regularly you are less likely to miss key updates of interest and you’ll have more opportunities to interact with others’ updates, sharing your opinions and advice. Taking the time to develop your own ‘voice’ on Twitter will allow you to efficiently post updates and interact with others’ posts in a timely fashion. This could include the shorthand text, terminologies and a collection of hashtags that you use on a regular basis. There will be times when you might not feel like using Twitter, but you really know you should, so streamlining the experience will help to reduce the effort required to interact with other uses and create your own updates. The information that you use in your Twitter bio will help people to find you, so you want to ensure that you optimise the text to include keywords and hashtags associated with you and your industry. Here is an example of a well optimised Twitter bio: “@HSBC Managing Director, Technologies. #Skydiving enthusiast. Avid #technology blogger http://*yoursite*.wordpress.com”. The reason why the above Twitter bio works well is because it mentions the company that the user works for, linking to the companies Twitter account, it uses two targeted hashtags and references a website. Twitter gives you the option to feature a link-clickable URL, as shown below, but you might want to also reference another website, and in the example shown above, you might want to reference a personal blog that you feature in/ own. You can then leave your feature (main) website link for your LinkedIn profile. If a user was to search for #skydiving or #technology, especially with a thread such as ‘skydiving enthusiast’ or ‘technology blogger’ then there is a much better chance they will find your profile as a result of you including those keywords/ hashtags in your bio. Also, by using the Twitter account name for the company that you work for/ own you will be allowing people to click on the link and engage with that account directly. 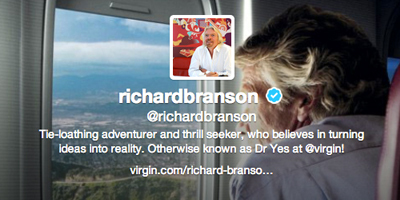 It also adds a level of validity to your account (although not officially, as many of the celebrities on Twitter have – the blue and white ‘tick’ icon beside Richard Branson’s Twitter name, as shown above, officially validates his account). Twitter really is a very practical and simple to use professional networking tool that anyone can use, even those who call themselves ‘technophobes’. Understanding how your industry and like-minded industry professionals are currently using Twitter will help you to reinforce your Tweeting efforts and increase your chances of building on your networking footprint. From here you can implement yourself into the multitude of conversations, start your own conversations and reap the benefits that Twitter has to offer you in both personal and professional capacities. Start your Twitter efforts by following us on Twitter today and we’ll be sure to notify you of future articles as they go live on our blog! Perfect and wish to be continued. i’m soon going totry to activate my proficient network. Thanks Ms. Ana for sharing us good information about Twitter that can help us a lot and easy for us in updating our status and way of communication.